A fishing trip isn’t complete without a fishing cooler. Due to the advancements made in technology, coolers are now better than ever, able to hold your fish for longer periods of time. There are many coolers available, however, and few of them are actually up to the challenge. This is why we at Watersports Mag decided to put together a list of all of the best fishing coolers you can buy. We’ve considered factors such as how well insulated the cooler was, how it fared against the elements, and whether or not it was easy to handle. 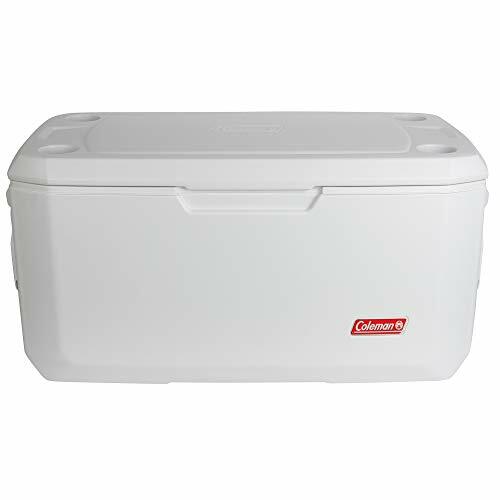 If you are in need of a cooler that can really keep its interior cold, then the Coleman Coastal Xtreme Series is the best option. This cooler is capable of maintaining a temperature of up to 32°C for about six days. This is a particularly exciting feature for anglers as at this temperature, your fish will still remain fresh. This cooler temperatures is achieved due to an extra amount of insulation. Even the lid on this cooler is insulated, ensuring that heat cannot escape from any of the walls. 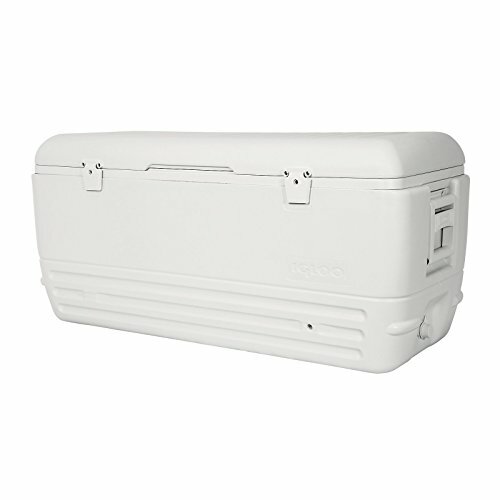 This cooler is ideal for those longer fishing trips. At 120 quarts, it is also more than capable of holding whatever it is that you catch during this period. The Coastal Xtreme model has been designed to be absolutely leak-proof. This is despite the fact that it has a drain channel. Even when the ice begins to melt, the water will not seep out. The drain is incredibly useful, particularly as you don’t have to tilt the cooler for it to work. The handles have been placed so that your fingers can’t get pinched as you carry the cooler. Also, there are comfort grips to improve your grasp on the cooler. This version is more than just a cooler. It can actually function as a seat and can take up to 250lbs in weight. There are also molded cup holders on the lid to place your drinks while fishing. The exterior is made from UV Guard material which means that there is no warping or discoloring due to sun exposure. 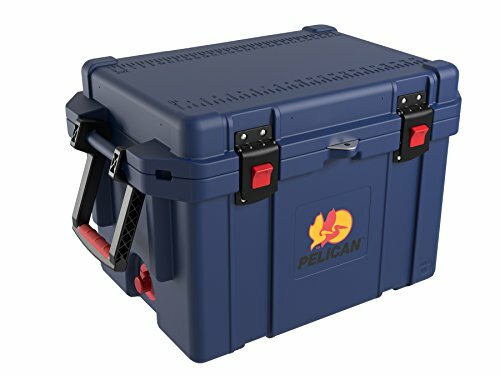 In terms of durability, you will be hard-pressed to find a cooler that is more durable than the Pelican Elite cooler. Therefore, if you go fishing quite often or if you need to load and unload the cooler a lot, this is going to be a cooler that holds up well. The other perk of the Elite is that it maintains a colder temperature for a long time. Ideally, your ice should be able to mostly solid for at least ten days. 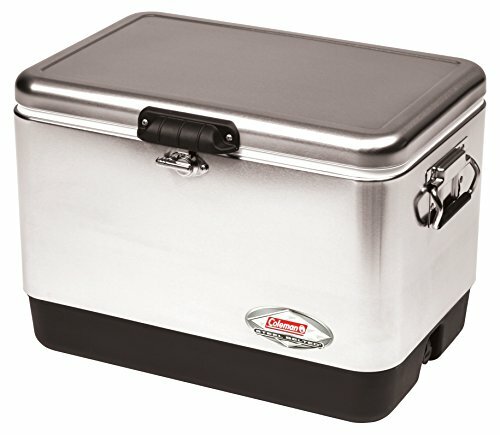 Even after the ice melted We found that the water still preserved its coldness so this is an ideal cooler for your fish. The interior of the cooler has two inches of polyurethane insulation and even contains a freezer grade gasket. Another reason that the Elite is able to retain its coldness is because of how tightly the cooler is locked down. This is done with the help of the press and pull latches. These have been designed so that you will even be able to open and close them while wearing fishing gloves. There is a dual handle system with rubber pads on the handles to make them easier to grip and to carry. The cooler is also equipped with a drain on the side which helps with the cleaning process. The only real downside to the Elite cooler is the weight. Since it is so heavy duty and durable, this cooler is quite heavy empty and can be difficult for just one person to manage when filled up. Dimension: INTERIOR (L X W X D) 19.00" x 12.00" x 12.00"
Yeti is undoubtedly one of the most popular fishing coolers on the market. 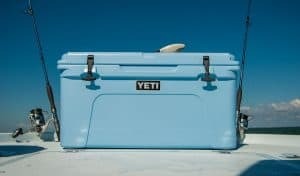 The Yeti Tundra 64 is one of the best examples of the brand, showcasing precisely what is so great about it. To start with, it is definitely excellent at keeping your fish at the necessary temperature. This is because it utilizes an incredible amount of insulation. The interior of the Tundra consists of three inches of PermaFrost insulation. There is also a freezer grade gasket that makes sure the cold is locked in and that none of the hot air can get inside the insulated interior. When the company claims that the cooler is virtually indestructible, this is not really an exaggeration. It maintains its rotomolded construction which means that you can bash the Tundra around as much as you want and it will barely show a scratch. Another reason that the Tundra is a quality find is due to the T-Rex lid latches. These are made from strong and durable rubber, making it unlikely that you will ever have to deal with a broken latch. To add to this, there is the NeverFail hinge system that ensures the hinges do not give out. All in all, the Tundra is worth every penny that you spend on it because it can actually last you a lifetime. The Tundra also has non-slip feet so you can keep it in a boat and not have to worry about it moving about. Due to the thick insulating features of the Tundra, the interior can be smaller than you imagine, so be careful about the size you get. The Coleman Steel-Belted cooler is reminiscent of older versions with their stainless steel construction. With this, you get a tough and durable exterior at a reasonable price. This type of cooler really is built to last and will withstand a great deal. Also, since it is made of stainless steel, you don’t have to worry about it corroding, even when you spend time out on the water. The interior consists of a considerable layer of insulation, ensuring that your catch can be kept fresh for hours. The lid creates an airtight environment inside, which means that the cold air stays inside and that no warm air can enter. There is also a leakproof channel that allows water to be drained out of the cooler. Best of all, you don’t need to tilt the cooler to tip the water out, it drains without any hassle. The drain is also rustproof and will last for years to come. There handles on either side of the cooler are made from stainless steel but they have rubber grips for comfort. Since all of the components, including the latches, are made from steel, they are long lasting. 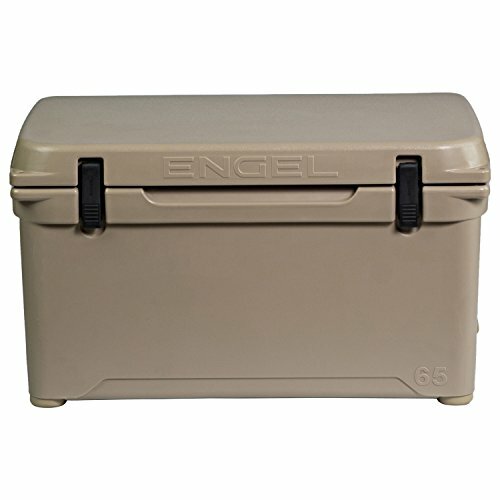 The Engel ENG65 cooler is a model that is capable of holding ice up to 10 days. Even when the ice melts to a certain degree, the cold temperature is still maintained inside. This is a good option if you are planning on taking a long fishing trip. The entire interior of the cooler is lined with two inches of polyurethane insulation, which is what helps to keep the temperature from rising too high. The gaskets are airtight and composed of silicone. They form a sealing layer around the opening, ensuring that interior temperature is maintained regardless of how hot it is outside. The marine grade latches also ensure that the cooler remains shut tightly to prevent the cold air from escaping. The outside of the cooler is made from seamless rotomolded construction. You can use the ENG65 for years to come and it will still hold up well. This material is also protected against UV rays. This means that even if the cooler continues to be exposed to the sun, there will not be any discoloration or any other type of damage. The lid on this cooler is strong enough to withstand someone standing on it or you can choose to pile other items on it. The bottom of the cooler contains a no-fuss drain plug to make it easier to clean out the ENG65. There are also rubber feet so that the cooler will not move around even when on rough water. Igloo coolers are definitely one of the more affordable cooler brands. While the Igloo Quick and Cool may not have as much insulating power as more expensive brands, it still works quite well. The inside of the interior, as well as the lid, consists of Ultratherm insulation. There are dual snap fit latches to secure the lid tightly to prevent the introduction of warm air into the insulated interior. One of the perks of this cooler is the quick access hatch located on the top of the cooler. Therefore, when dropping your catch in you don’t have to open the entire lid and compromise the interior temperature. This cooler also has a threaded drain plug that allows a hose to be attached for easier drainage. The cooler is constructed from polyethylene and the components on the cooler are made from plastic so it not as durable as some of the other products. The latches, in particular, should be treated carefully to prevent them from breaking. As you can imagine, the most important part of a cooler is the insulation. This is especially important when looking for fishing coolers where you will be storing fresh catch. Most coolers tend to focus on keeping food and beer at a certain temperature. As a result, they aim to maintain temperatures around 40°C. This is not enough if you want to store fish in there for an extended period of time. Fish and other meats need to be kept in temperatures no higher than 32°C. It can be difficult to test the interior temperature of the cooler and so you must rely on how long the ice remains solid with the lid shut. The amount of insulation provided varies across brands and prices. If you are willing to pay for it, you can find coolers that will keep ice in its solid form for up to 10 days. This is quite useful for extended fishing trips. Even if you don’t intend on spending that much time on a boat, you should aim to find a cooler that can hold ice for at least a couple of days. Although not strictly a part of the insulation of the cooler, you should examine the gasket that comes along with it. This will ensure that no air enters or leaves the cooler while the lid is shut. The gasket plays a large role in determining just how long the ice will remain solid. The second most significant feature to look at would be what the cooler is made of. You can expect your cooler to be bounced around a fair amount and perhaps even to be dropped a couple of times during handling. Therefore, the cooler needs to be made of heavy duty plastic, capable of withstanding such force and impact. The rest of the components such as the hinges, handles, and latches should be made of a similarly strong material. If any of these features are compromised, it renders the cooler essentially useless. A good way to test the sturdiness of a cooler would be to attempt to push the walls of the cooler inward. Depending on how much give you encounter, you will be able to tell just how strong the cooler is. As the cooler will be exposed to the elements quite often, you need to make sure that it will not be warped due to weather exposure. In particular, you should look for materials that guarantee UV protection if you plan on using your cooler outdoors for extended periods of time. There can often be a considerable amount of disparity between the size of the cooler and how much it is capable of holding. This is due to the insulating features of the cooler. The thicker the walls or the insulation, the smaller the internal capacity will be. As such, you can’t really judge how much a cooler can hold simply by looking at the exterior. There are several factors that you will need to consider when choosing the right size. The first will be how large of a cooler you can fit on your boat or vessel. Then, it is a matter of thinking about your catch. Just how many fish do you realistically think you can catch and how large will they be? Most of the higher quality coolers are equipped with drains. This is where the melted water drains away from. Each brand and product utilizes a different type of drain. The most convenient option are drains that have recessed channels and where the drain holes are located closer to the bottom of the cooler. This prevents you from having to lift and tilt the cooler over to ensure all of the water is drained. This is a particularly useful feature for heavier coolers as those can be difficult to lift. Some coolers have drains that allow for hoses to be attached. This, too, is so that you don’t have to lift the coolers up. However, the hoses must be fitted before the ice is placed in the cooler for this to work. This can sometimes cause leakage problems if the hose is not fitted properly. The other thing that you should be concerned with is the size of the drain holes. Avoid getting ones that are either too large or too small. While overly large ones may seem beneficial, if you are draining the cooler with loose ice cubes, you may lose them in the process. Drain holes that are too small will cause the process to be too long. You are going to need to handle the cooler quite a bit when you are loading it onto and off vehicles or vessels. This is why it is important that you find it easy to carry your cooler. If you tend to fish alone, it is a good idea to opt for a lighter model, one that you can carry by yourself. Apart from weight, you should also look at the durability of the handles, the comfort they afford you, and just how convenient they are. 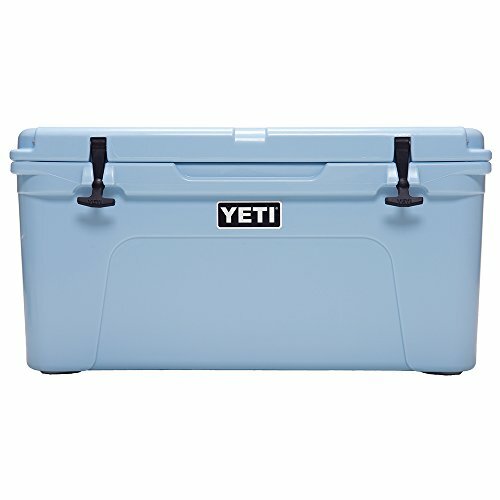 Unless the cooler is very small and light, you should not choose one that doesn’t have handles. These are the features that you should be most concerned with when looking for fishing coolers. All of this, and more are available with the products mentioned here.